All players, coaches*, board members*, umpires and volunteers* must also register with Softball BC to obtain a lifetime Softball BC membership number. All returning players and coaches should already have a number. When completing your membership, remember that NMSA belongs to District 2 Zone 6. Unsure if you are registered with Softball BC? If you are sure you have a Softball BC membership but the search tool isn’t able to find your number, please contact Softball BC at info@softball.bc.ca for further assistance. When emailing, please include the full name, postal code and date of birth for each member you are inquiring about. * Softball BC fees will be reimbursed by NMSA for these volunteer positions. Forward your Softball BC receipt to the registrar@nanaimosoftball.ca for reimbursement. All coaches, volunteers and board members must complete a criminal record check on file with NMSA in the past 5 years. The CRC can be completed online at no cost. If you receive a message that the online system was unable to complete the CRC online for any reason you will have an option to print out the CRC form, have an NMSA board member sign it and mail it to the RCMP or bring it into the local RCMP detachment. Use the NMSA access code when signing in. KidSport is a national not-for-profit organization that provides financial assistance for registration fees and equipment to kids aged 18 and under. Through a confidential application process we provide grants so they can play a season of sport. One in three Canadian families cannot afford to enrol their kids in organized sports and physical activity (Vision Critical, 2011) which means many kids are missing out on the benefits that come with organized play. 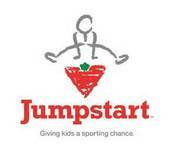 Canadian Tire Jumpstart is a nationally registered charity dedicated to removing financial barriers so kids across Canada have the opportunity to get off the sidelines and into the game. Softball BC is the official governing body of softball in the province of British Columbia. The provincial office is located in Surrey, BC at Softball City, a facility wholly owned and operated by our membership. Provincial championships, National Coaching Certification Programs (NCCP), officials training, and player development clinics (Learn to Play and CANPitch) are held throughout BC. The Canadian Amateur Softball Association, commonly known as Softball Canada, is a not-for-profit National Sport Organization (NSO) based in Ottawa, Ontario founded in 1965. It is recognized and financially supported by the Government of Canada as the National Governing Body for the sport of softball.